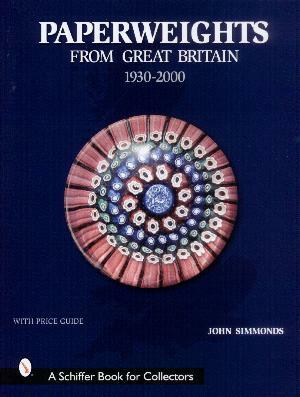 This is the first book to focus exclusively on paperweights from Great Britain. Included are all of the familiar Scottish and English makers plus some unexpected names. It is a comprehensive reference filled with great photographs and facts. 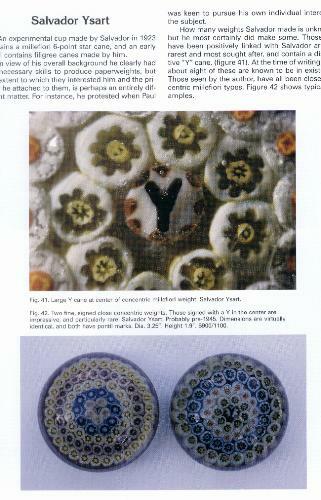 As is appropriate there is a significant amount of material included on the influence of Paul Ysart and his family. Other sections are devoted to other English and Scottish makers in a way that shows the evolution of paperweight making in Great Britain. Over 2,000 paperweights are listed. 192 pages with 360 color photographs. Hard bound. 8 1/2" by 11". 2000.